The Ninth Doctor > Rose Tyler > Raxacoricofallapatorian > Harriet Jones > U.N.I.T. We pick up where we left off in Aliens of London. The Doctor overpowers the Slitheen attempt to electrocute him, manages to somehow transfer the electric current into the Slitheen and then escapes. The Doctor, Rose and Harriet Jones lock themselves in a conference room at 10 Downing Street, where they act out a little chamber drama, and whence they orchestrate the salvation of humanity. The Slitheen reveal their plan and prepare to act it out, namely, the nuclear destruction of Earth in order to sell of chunks of its irradiated remains as rocket fuel for alien spaceships… which they intend to achieve by attaining the nuclear launch codes to all atomic weapons from the UN… which they intend to receive not by contacting the UN, but by pleading for them on BBC News… Ok.
Mickey Smith saving Rose’s mum and, oddly, being placed in an integral position that effectively means that he is saving the world, even though it is by no means his initiative or idea. Oh, and there are farting aliens and lazy UNIT soldiers in this one, too. Mickey pretends to hack into UNIT, while Doc feeds him the one single password that constitutes all he has to punch in. Really sorry about this, but, gosh, let this woman get some sleep. Also: Bad Wolf reference! A maniacal, telepathic computer dispatches clunky Dalek-wannabees to enslave mankind. Why? Because shut up, that's why. I like the Slitheen, there, I said it! Does the fact they fart all the time add up to anything more than a cheap joke? Not really but I bet kids found it funny, and the more child fans of Who the better, as some grow up to be devoted fans who submit reviews to obscure podcasts such as WhoBackWhen! If you forget the farting, this is a farcical political satire which lends itself incredibly well to Eccleston’s sensibilities ‘Do you mind not farting while I’m saving the world?’. The Slitheen are essentially more economically driven Zygons and the idea of the PM of Great Britain being a big green alien in a suit, is wonderfully subversive. Almost all the authority figures, from the insignificant (Chairman of a boating club) to the Police, Army, and the PM himself, are portrayed as greedy, manipulative aliens with no care for humanity. This is Doctor Who at a fundamental level…just with more farting. 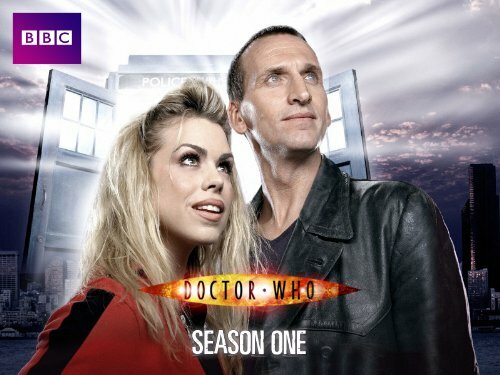 Anyway, Billie Piper is great as Rose, developing well with Eccleston who himself has some prime moments, legging it around 10 Downing Street with a grin on his face, greeting space-pigs with a warm hello, pure Doctor brilliance. The moment SPOLIERS both he and Rose share before a missile is directed at them is played very straight in an otherwise campy episode and it’s all the better for it. Cammile Coduri is also great here as Rose’s mam, especially in the first episode dealing with the shock of Rose’s return. I could go on, but I’ll end it here and give this two-parter a 3.7. Oh, the Aliens of London. I have very mixed feelings towards the episode. But before I get into that, I have a fun fact! The Slitheen were actually meant to be Zygons. Unfortunately, Doctor Who did not yet have a big enough budge for the Zygons to be done properly, so they were replaced with farting green monsters. Speaking of farting green monsters, the Slitheen were very memorable aliens. Though not for the right reasons. The farting was not exactly entertaining for me, and got old quite quickly. By quickly, I mean immediately. Also, they voices were very garbled and hard to hear at some points. However, there were times when they were pretty creepy. The moment that stands out in my mind is when Rose is being based around by one, which then smells her fear. This episode also had other good points about it. For example, the UFO crashing into Big Ben was done very well, especially for the budget they had. This episode is also the first time Harriet Jones-Prime Minister makes an appearance. Yes, I know who she is. Unfortunately, the story itself or the aliens were not exactly amazing. It is sort of a boring episode, especially for a three parter (see Boom Town). I’m going I have to rate it a 1.5. Luckily, the next episode is absolutely amazing and I loved every bit of it.